BAGHDAD / NINA / Head of the Ahrar parliamentary bloc, Bahaa al-Araji called the federal government and the government of Kurdistan to end the file of oil, according to the constitution. 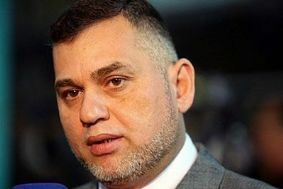 A statement by the Information Office of the Parliamentary Ahrar bloc quoted Araji as saying: We do not want this problem to be a reason to delay the adoption of the general budget for 2014, which is the source of livelihood of Iraqis and their services and security. He added that the constitution was clear about the joint powers, but unfortunately each party is committed to the materials that meet their interests and do not abide by reversing and we should not deal with the constitution selectively. It is mentioned that the rapporteur of the House of Representatives, of the Iraqiya coalition, Muhammad Al-Khalidi predicted postpone the parliamentary elections scheduled to be held on the thirtieth of next April because of the budget has not come from the government to parliament. Khalidi, at a press conference on last Monday said that “the Council of Ministers has not discussed the budget yet, because of the big differences between the Kurdistan region and central government on some points, as well as requests for the provinces and ministries,” stressing that” the approval of the budget will be delayed and will not be passed easily .” ” adding that “the House of Representatives will not end its current term unless approving the budget, therefore it is possible to postpone the upcoming elections and this is very dangerous .